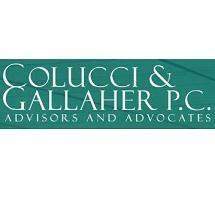 From its main office atop the historic Liberty Building in Buffalo, New York, Colucci & Gallaher, P.C. provides business counseling and litigation-related services to private businesses and municipal entities throughout New York and the northeastern United States. C&G attorneys apply a single rule as they pursue client interests: provide the highest quality legal services on time and at a reasonable cost. C&G currently counsels some of the world's largest and upstate New York's smallest businesses, including oil companies, one of upstate New York's largest commercial real estate brokers, downtown Buffalo's largest commercial landlord, one of the area's fastest growing development companies, and the largest hospital and nursing home in western New York. Firm attorneys have handled disputes in federal and state courts in New York, New Jersey, Vermont, Massachusetts, Pennsylvania, West Virginia, Virginia, Maryland, the District of Columbia, Illinois, Indiana, Minnesota and Michigan. In these forums, C&G has protected the interests of business and municipal clients in environmental claims, products liability claims, real estate litigation, the defense of personal injury claims and contract litigation. Firm attorneys regularly practice in the courtroom, before private arbitration panels and in mediation proceedings. 2017 -- Best Law Firm in the 2017 Edition of U.S. News – Best Lawyers!